The New Orleans Nightcrawlers are not your average second-line street band. 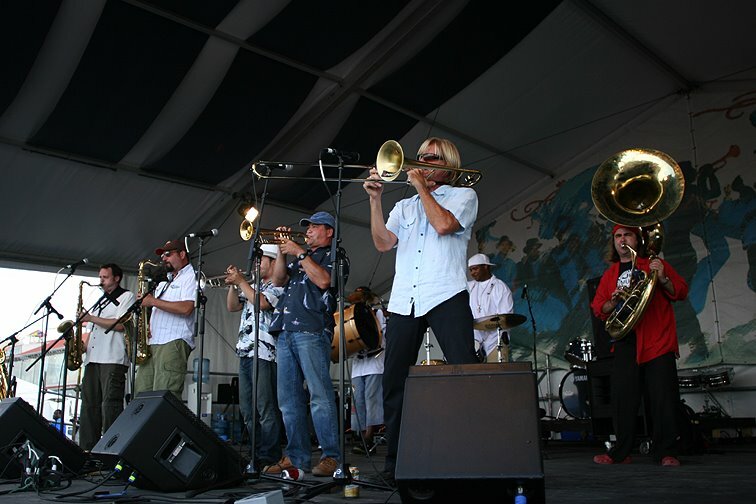 Building on the brass band revolution of the past decade, when funk, bob and pop tunes were added to the traditional repertoire, the Nightcrawlers add new harmonic substance and challenging arrangements to the funky New Orleans street sound. Here are originals, transformed standards and new tunes contributed by fellow rising young composers, played by a group of the Crescent City’s most accomplished jazz musicians - brass band music for mind, body and soul. For questions regarding the Nightcrawlers, and for all your music booking needs, contact us HERE.